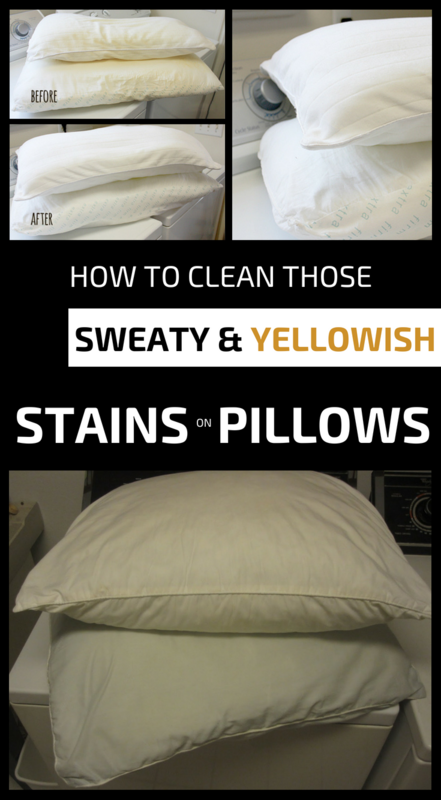 Pillow cleaning is an essential for a clean and disinfected environment. Only if you maintain them properly you can use them with confidence every day. Many people don’t pay much attention to them, but the cushions constantly absorb perspiration and misery. In other words, these objects turn into an environment conducive to the development of bacteria and dust mites. Baking soda and vinegar mixture is a 100% natural solution that bleaches and softens the material from which the pillow is made. These 2 ingredients have antibacterial and whitening properties that help to remove dirt and perspiration. Put the pillows in the washing machine. Add baking soda and white vinegar after the washing machine is filled with water. Let the washing machine complete a normal wash cycle, and then remove the pillow and let it dry in the sun.